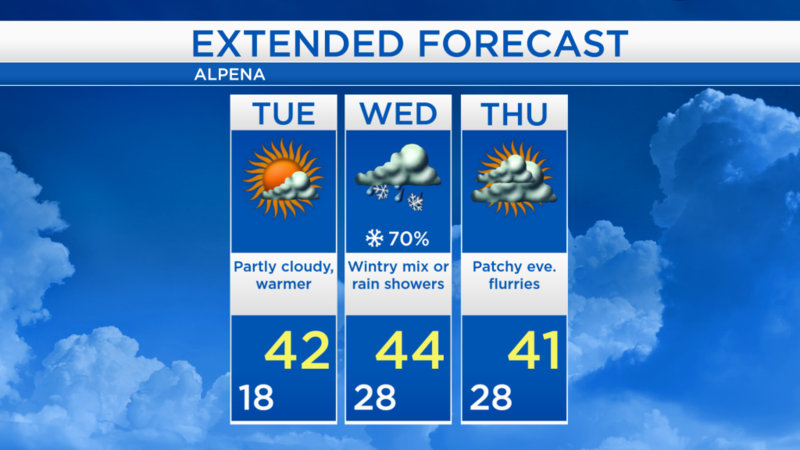 High temperatures today reached 40 degrees in Alpena with sunshine early, and cloudy skies that moved in during the afternoon. Tomorrow will start with cool temperatures, then likely get a couple degrees warmer in the afternoon. Most of the day remained dry, but in the late-afternoon, a few flurries developed over Presque Isle County, Cheboygan County, and elsewhere near the Lake Huron shoreline. These flurries will dissipate later tonight or predawn. 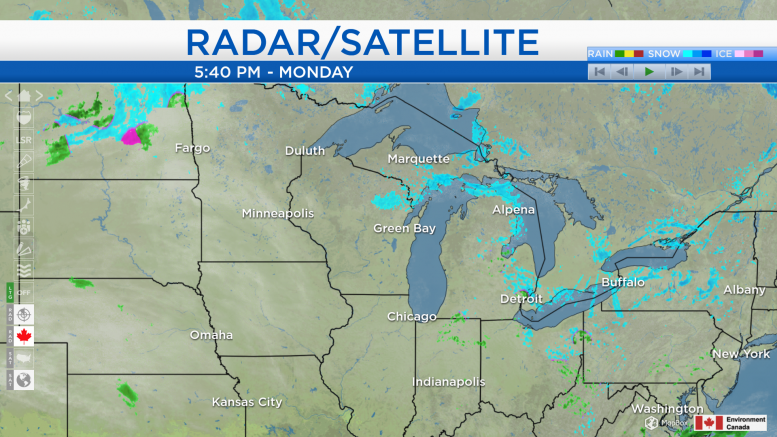 Dry weather currently over Wisconsin, Illinois, Iowa and Minnesota will drift into our area. The daytime hours will feature partly cloudy skies and some sunshine tomorrow. Overnight low temperatures will drop to the upper teens, then morning temperatures will start around 20 degrees. Partly cloudy skies and very light winds about 5 mph are expected tomorrow as high temperatures reach about 42 degrees. 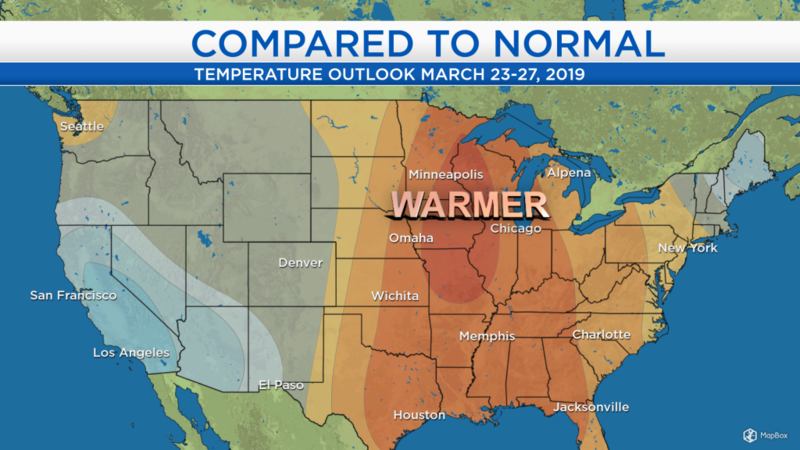 The long range outlook shows from this upcoming weekend to early next week, warmer-than-normal temperatures are favored from the Gulf Coast to the Upper Midwest. The current forecast for Northeast Michigan shows high temperatures in the 40s and 50s through this time period. For tomorrow, we will see partly cloudy skies and mild temperatures. Early-morning temperatures will start a little warmer for Wednesday, Thursday and Friday with lows in the middle 20s. High temperatures on Wednesday will reach the mid-20s with a decent chance of a wintry mix or rain showers. Thursday should end up mostly dry, although there is a small chance of flurries late. More sunshine will return to our area Friday and Saturday. For the rest of Northeast Michigan’s weather forecast, watch the latest weather video by clicking the weather tab at the top of the page.